On February 3, 2018, suspect Brandon Sampson was arrested out of state in California. The female, Jasmine Adams, was located with the suspect and was unharmed and in safe condition. This is all the information we have available at this time for release as this is still an on going case. As a result of the on-going investigation into the disappearance and murder of Ms. Jacqueline Hughes, detectives have identified Brandon Charles Sampson B/M/31 as a suspect and have obtained an arrest warrant for the offense of Murder. Please review the attached bulletin. Anyone with information as to Brandon Sampson’s whereabouts or additional information regarding this case, is asked to call Detective Chaney at 214.283.4804, 9-1-1 or their local police department immediately. If you wish to remain anonymous, please contact Crime Stoppers at (214)373-TIPS, 24 hours a day, 7 days a week. Crime Stoppers will pay up to $5,000 for information called into Crime Stoppers that leads to the arrest and indictment for this felony offense and other felony offenses. On January 1, 2018 about 9:20pm, the reporting person went to the South Central Patrol station and reported her adult daughter, Ms. Jacqueline Hughes had not been seen since Christmas Day and this was unusual. Officers completed a “Want to Locate” report regarding the victim’s disappearance. The case was assigned to a Missing Persons detective who began to reach out to the reporting person to follow up on the initial report. On January 4th, officers conducted a health and welfare check at a house in the 3800 block of Castle Hills Drive at the request of the reporting person, but the house appeared vacant and there was no answer at the door. A few hours after the welfare check, a shooting occurred at the same residence in the 3800 block of Castle Hills. The victim’s brother, Clifton Hughes, and other family members confronted the victim’s boyfriend regarding her whereabouts. During that confrontation, Clifton Hughes shot an individual inside the residence who suffered non-life threatening injuries. Officers and crime scene personnel searched the house, but found no obvious evidence of Jacqueline Hughes. Clifton Hughes was subsequently arrested on January 9th for the Aggravated Assault with a Deadly Weapon offense. This arrest is documented on case #2080-2018. On January 8, 2018, the reporting person came to headquarters and provided additional information to detectives that indicated her daughter Jacqueline was in imminent danger. Based on that information provided by the reporting person, officers upgraded Jacqueline Hughes’ status from a “Want to Locate” to an “Endangered Person.” This change includes issuing bulletins, national teletypes and notifications to surrounding agencies. On January 9, 2018, officers obtained a search warrant for the entire premises of the residence in the 3800 block of Castle Hills Drive. During the search, officers found the body of a deceased female who was later identified as Jacqueline Hughes. She died as the result of homicidal violence. If anyone has any information about this case, please contact case Detective Derick Chaney at 214-671-3650 or email at derick.chaney@dpd.ci.dallas.tx.us. If you wish to remain anonymous, please contact Crime Stoppers at 214-373-TIPS. 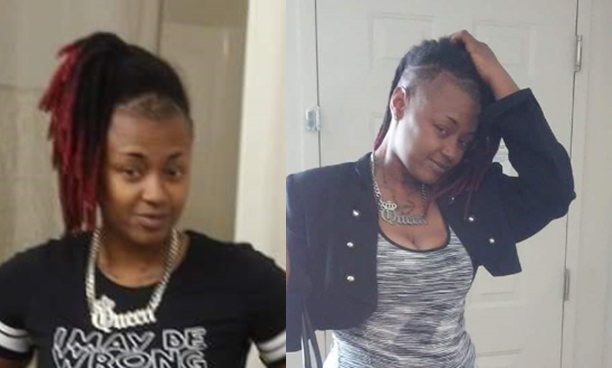 The Dallas Police Department is seeking the public’s assistance in locating critical missing person, Jacqueline Hughes. Ms. Hughes was reported missing on January 1, 2018 after her family had not heard from her since December 25, 2017. Detectives received information on January 8, 2018 that leads them to believe Ms. Hughes is in danger. She is described as a 34-year-old Black female with black hair and brown eyes. She is 5’03” tall and weighs about 160 pounds. This incident is documented on case number 000500-2018. If anyone has any information about the location of Jacqueline Hughes they are asked to call 9-1-1 or the Dallas Police Department Missing Persons Unit at 214-671-4268.